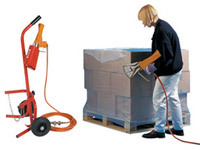 What Is the Purpose of the 800mm Shrink-wrap System? Once your operation starts to upgrade its shipping aspects, you’re going to need a solution that can handle different sizes of products with ruthless efficiency. This 800mm shrink-wrap system is an all-in-one solution that gives you professional results no matter the product you’re using. The shrink-wrap system wraps your product with a piece of film that once heat is applied, shrinks to conform to the size of the product. This means you have a product that is contained and secure, and it is also protected from the elements it might face during shipping. This 800mm shrink-wrap system comes with an individual piece of equipment that holds, unrolls, separates and cuts the film you need. Once you wrap the film around the product, use the 2-speed heat sealer to shrink the wrap and it’s ready to go. 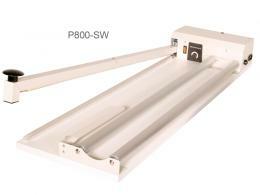 Where Can the 800mm Shrink-wrap System Be Used? This system works to provide a way of quickly applying heat-sealed film to any product in a professional manner. 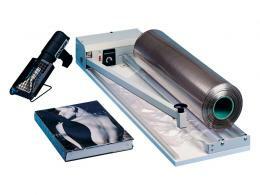 It suits any roll of 800mm film and can match nearly any product you’re trying to wrap. It is based on a counter top, so this works with fulfilment centres with many varieties of times to ship. It works in supermarkets for fruits and vegetables. It works in the auto industry for shipping small or delicate parts. Who Might Use the 800mm Shrink-wrap System? This works well for a professional result. Book sellers can ship individual books and keep them protected. Farmers or market sellers can individually wrap food items for transport. You can use in the office to bind smaller products for storage. All-in-one unit of film roll holder, separator and cutter bar. 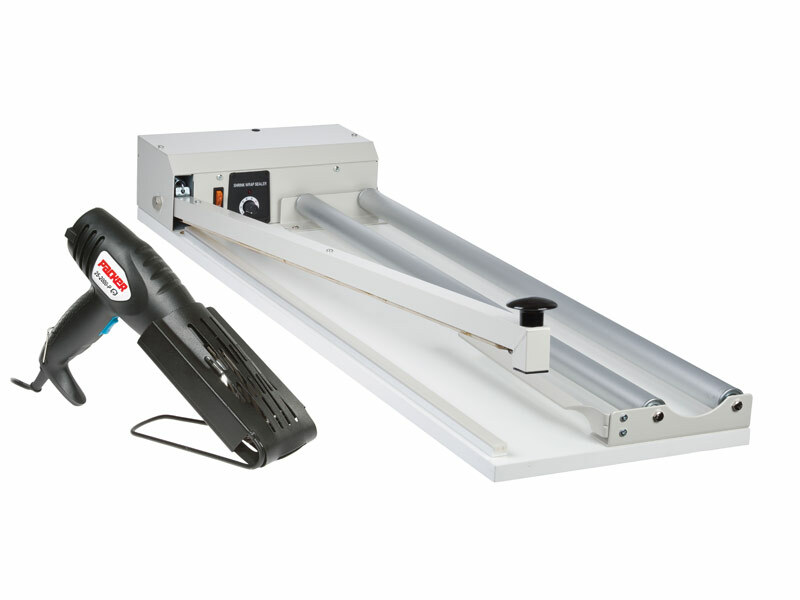 2-speed heat sealer gun included for a quick shrinking of the film. Adjust the heat sealer timer for different thickness of wraps. Heat sealer has wide nozzle and stand for convenient storage. 1-year warranty with every purchase for all parts and labour.